The benefits of additive manufacturing are hard to ignore. So, why hasnt it achieved wider adoption? There are a few important hurdles that AM needs to clear for the aerospace industry at large to get on board. The nature of aerospace manufacturing is changing, and the supply chain is changing with it. Where previously there had been blueprints, foremen and assembly lines, now there are CAD files, predictive analytics and cyber-physical systems. But, while digital technologies are disrupting the traditional ways manufacturing and supply chains have operated, the new efficiencies that they can facilitate are far more exciting and expansive than anything that we could have dreamed of a generation ago. One of the most promising areas of advancements in aerospace is additive manufacturing (AM). Also known as 3D printing, AM is a method of manufacturing that creates objects layer by layer, using polymers, composites, metals and other materials. Digital design files are split into individual layers, which are printed one on top of another until the final object is complete. Parts printed using AM often require very little finishing or machining, and produce far less waste than traditional manufacturing methods. Additive manufacturing isn’t new. It has been around in some form since the early 1980s. In fact, it isn’t even new to the aerospace industry. As early as 1988, aerospace and defense companies have been experimenting with the format. But not until recently has the technology advanced to the point where a realistic conversation could begin about how AM could be used in a significant way for aerospace and defense applications. This is not to say that aerospace hasn’t already adopted the technology. In fact, the A&D industry is the largest single industry using AM, accounting for roughly 18% of AM’s $6.4 billion global revenue in 2016. For a sector worth nearly $2 trillion globally, however, a $1 billion investment in AM represents a drop in the bucket. Additive manufacturing is used to great effect for rapid prototyping and concept modeling, but commercial applications vary widely from simple interior parts like armrests to complex, highly critical parts like engine components. These applications are not widespread, but every successful implementation of 3D-printed parts makes a stronger case for the industry as a whole to seek out opportunities where AM can provide added value. Additive manufacturing has the potential to provide significant benefits in the A&D industry, increasing efficiency and reducing costs while also allowing for greater flexibility of design and supply chain structure. Producing parts using AM can cut costs by up to 50%. And while traditional manufacturing is based on economies of scale, AM benefits from being able to operate at low volumes without running a cost deficit. 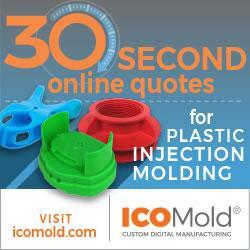 This makes AM ideal for creating older or hard-to-find replacement parts. There is also no cost increase for more complex parts being printed, which makes AM very competitive. Currently, material costs for AM are significantly higher than those used in traditional manufacturing methods. For instance, the stainless steel used in AM costs roughly $8 per square centimeter, which is more than 100 times the commercial-grade stainless steel used in traditional manufacturing methods. But, again, the volumes at which AM and traditional manufacturing operate are diametrically opposed. Additionally, the costs of AM materials would see a steep drop with wider adoption. Rather than simply trying to print and assemble parts previously created using traditional manufacturing methods, AM rewards redesign, using the technology to make parts that are difficult or impossible to produce using traditional manufacturing techniques. For their LEAP engine line, GE 3D printed fuel nozzles that reduced the number of components used to create the nozzle from 18 to 1, resulting in a nozzle that was 25% lighter, five times more durable and 15% more fuel-efficient. Additive manufacturing can reduce the weight of parts by more than 60%. Some of this can be attributed to the use of lighter materials, but a huge element is the design innovations made possible by AM. Printing parts layer by layer allows for designs that provide support only where it’s needed, utilizing lattice or honeycomb structures and leaving cavities to significantly reduce the total weight of the part, while maintaining the same strength and durability. Airbus estimated that 3D printing all the possible components of an A350 would reduce the weight of the aircraft by more than a ton. Since it is widely use for rapid prototyping, it should come as no surprise that one of AM’s most compelling benefits is its speed. AM has been shown to shrink time to market by up to 64%. Besides its distinction as being the world’s largest single-piece solid object created using additive manufacturing, Boeing’s 777x wing-trim tool was created in a mere 30 hours – a vast improvement over the three-month average it takes to create the same tool using traditional manufacturing. Conventional machining can lead to an extraordinary amount of waste, with scrap rates as high as 90%. Additive manufacturing uses far less raw material to begin with, and with limited tooling once a part is printed, material waste can be as low as 10%. Discussing the research into their own applications of AM, Airbus projected that the use of 3D printing could reduce the raw material and energy used in production by 90%. While AM is still in its infancy, in terms of large-scale aerospace implementation, it is highly likely that it will continue to increase in popularity as the technology continues to improve. Those in the A&D supply chain – from original equipment manufacturers (OEMs) to aerospace part distributors to maintenance, repair and overhaul businesses (MROs) – are working diligently to determine the feasibility of its use for their corner of the industry and how they may need to shift their current business models to accommodate the changes that additive manufacturing will bring. But the fact of the matter is that additive manufacturing could prove a great boon to the aerospace supply chain. One of the largest logistical issues for aerospace distributors and suppliers is the vast amounts of stock that they need to keep on hand (and the huge amounts of physical space those require) in the case that an OEM or a MRO will need a specific part. AM allows for printing on demand, which means that parts don’t necessarily need to be stored physically on site. Next to availability and price, the speed with which a necessary part can be delivered is one of the most important determining factors for an OEM or MRO. With AM, a part can be printed in the location closest and most convenient to its final destination, cutting down on logistics costs and delivery time. Due to overhead costs and space constraints, aerospace distributors are forced to operate as efficiently as possible, which in most cases means limiting their in-stock part supply to what is most likely to sell quickest. AM could make low-demand, older and hard-to-find parts just as easily available as parts that are constantly headed out the door. The United States Air Force is currently exploring AM to print highly specialized replacement parts for older planes. Due to the low volume production of its planes and longer in-service life spans, parts for Air Force planes can be exceedingly difficult to track down, leading to extended instances of planes being out of service. Additive manufacturing allows for parts to be fairly easily tweaked or fully tailored to the specific needs of each user. This type of customization is impossible with traditional manufacturing. Not only is it possible with AM, but it doesn’t add any significant additional costs, whether done in large runs or for one-off production. So, what would an AM-enhanced aerospace supply chain look like? There are many possibilities. It might look very similar to the current system, with a wider array of offerings for smaller production runs. Or AM could completely disrupt the existing supply chain, with OEMs, MROs and even airline operators themselves exploring the efficacy of printing their own parts. Another possibility – the logical end of these shifts – could be a fully digitized supply chain, where aerospace distributors provide CAD files to manufacturers to print on their own parts, instead of the physical parts. Counterintuitively, this evolution could actually lead to a much more personalized supply chain experience, where aerospace parts distributors and suppliers act as advisors on which parts and which customizations are most appropriate, providing recommendations based on data collected from other OEMs or MROs dealing with similar builds or repairs. What Is Holding Additive Manufacturing Back? The benefits of additive manufacturing are hard to ignore. So, why hasn’t it achieved wider adoption? There are a few important hurdles that AM needs to clear for the aerospace industry at large to get on board. First of all, while aerospace is known for being on the cutting edge of adopting innovative new technologies, it is also a very cautious industry, eschewing trends for well-vetted and long-term technological solutions. Any technologies that achieve fleet-scale adoption have already been through several years and countless rounds of research and development, rigorous testing measures and strict certification procedures. For the people who write the checks, additive manufacturing has to prove that it is worth the investment of time, energy and lobbying to get these new methods and materials approved for commercial use. There is a lot of exciting potential surrounding AM, but for it to gain widespread adoption, it needs to be seen as a reliable long-term solution that is flexible enough to evolve along with the A&D industry. There are a number of specific issues that AM has yet to sufficiently address to the level of aerospace industry standards. Arguably the number one priority of the aerospace industry is safety. This is what is behind the stringent certification standards and the obsessive precision. In order for AM to have a real chance, it needs to show serious improvements in accuracy and replicability. In other words, it needs to get closer to perfect and to produce the same perfect results each time. Currently, most metal AM machines can produce an accuracy of about 30–40 microns, while the tolerance of most aerospace companies is less than 10 microns. In these cases, the excess must be machined away, adding an additional step to the AM process. Additive manufacturing is great for low-volume production, but it hasn’t yet reliably proven that it can ramp up for larger-scale production needs. This is a significant problem for meeting the needs of high-volume, high-speed orders, such as creating parts for a new aircraft program that is on a tight delivery timeline. While AM works very well for smaller components, anyone can tell you that airplanes have many huge parts as well. AM is not yet competitive in this area. The largest part ever created using AM (as mentioned earlier) was 17.5 feet long, 5.5 feet wide and 1.5 feet tall, approximately the length of a large sport utility vehicle, weighing about 1,650 pounds. Compare that to the wingspan of a Boeing 747 at 211 feet, and there is a pretty huge gap. On top of all this, the industry needs to figure out how the process can fit into the current supply chain or how the current supply chain needs to shift to facilitate greater AM adoption. The most likely scenario for AM in aerospace is that it complements, not replaces, traditional manufacturing methods. Many of the hesitations about AM implementation stem from a binary conversation: It is either traditional manufacturing or additive manufacturing. The reality is that there are great arguments for both forms of manufacturing, and by implementing both concurrently, the industry can better serve the needs of a highly diversified user base, continuing to provide consistent high-volume parts for larger programs as well as being able to provide highly customized, low-volume runs for older planes, smaller aircraft programs or business and private aircraft. This wouldn’t require a significant investment, allowing most manufacturers to preserve existing equipment while making room for a handful of AM printers. This would also allow manufacturers time to become more familiar with the particulars of the technology, to prepare them for the distinct possibility that AM will continue expanding as the technology advances. At Proponent, an aerospace parts distributor, we are excited about the additional value that additive manufacturing techniques could allow us to provide our customers. We know that every problem in aerospace is unique, and AM seems like a hugely innovative method that will allow for flexible, customized solutions to address each problem as specifically and precisely as possible.